From chilly to balmy, it’s been a complete mix of temperatures in the forest this week. The children have been in and out of their new winter jackets and hi-vis vests but this is all great skill development for dressing! 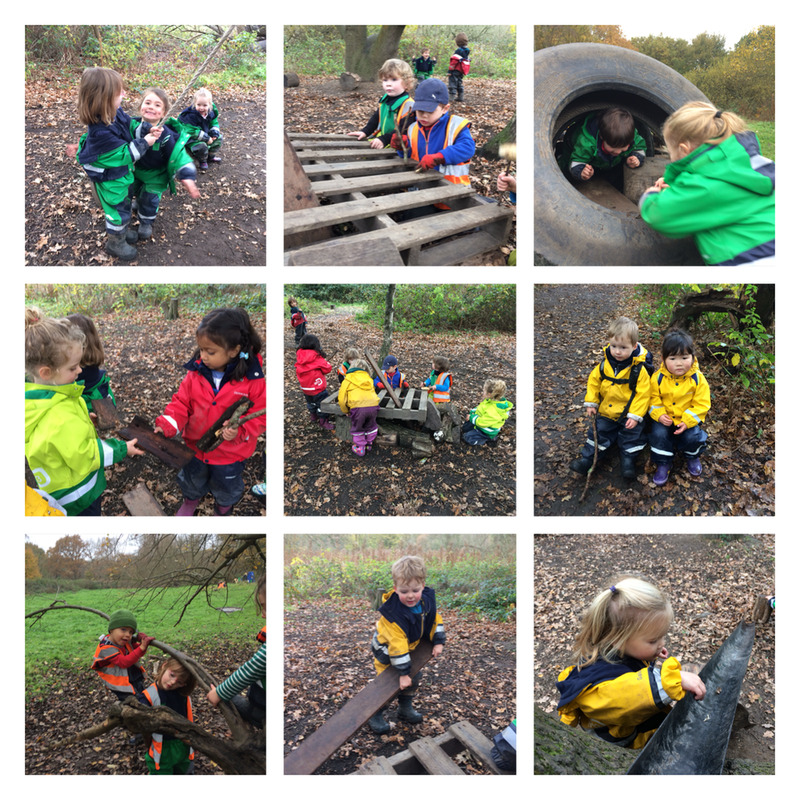 Physical skills have been improving and developing this week with the creation of a huge tyre tunnel on the meadow. Not only were the children practising their crawling (action man style!) but after clambering up onto the top, the children were launching themselves into the void and all landing safely on the meadow. The distance covered, as well as the height, was a sight to see and the children far surpass any expectations of courage that we could ever imagine! Base camp is open again! This has been long awaited by the children and they’ve loved returning to its familiar features: the climbing tree; the swings and the swamp. The climbing tree saw some wonderfully imaginative play on it with some children pretending to be cats stuck in the tree, requiring some firemen to come and help them down. New, secret holes had opened up in the tree too, and so the passing of materials from one place to another has allowed the children to develop new play ideas around this feature. Some of the logs in base camp were also transformed, becoming a car for a family journey to the nursery, involving wrong turns, break downs (of the car), and a complete overhaul of the vehicle by a team of 7 mechanics! Older PostBarnes - Frosty Mornings!